The governess. The spinster. The Aunt Sallies of life and standbys of British serialized humor. Submerged in other people's garments. I had really hoped to read two or even three books this past week for the Persephone Readathon, but I'm sorry to say that the events in the news were so upsetting, I could hardly focus on the book that I had chosen -- and I really wish that I had picked a more uplifting book. I'd been putting off Alas, Poor Lady for years -- it was so long and seemed rather depressing. It did take rather longer than I expected, as I normally zip through a Persephone in a couple of days, but I'm very glad to have read it. Alas, Poor Lady is the story of a Victorian family with seven daughters, ultimately focusing on the youngest, Grace Scrimgeour, born in 1869. Her father, a retired army officer, is forever disappointed that he has no son (who finally arrives two years after Grace); he takes little interest in his daughters other than providing them a perfunctory education and assuming eventually some man or other will take them off his hands. After nine pregnancies in more than 20 years, her mother blithely assumes the same, without preparing her (or her elder sisters) with the means to find a husband or learn to support her self -- it just wasn't done. A Honiton Lace Manufactury. Frederick Richard Pickersgill, 1869. 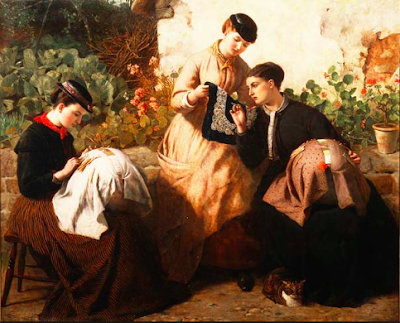 Some of Grace's elder sisters snag husbands and even have sons, but Grace and her unmarried sisters are doomed to spend their lives doing needlework and Good Works appropriate for middle-class ladies. One of the sisters, Mary, suggests higher education or even teaching as a profession; another, Queenie, the nerve to suggest opening a needlework shop. Both of these ideas are immediately rejected as being unsuitable -- what would people think? That would be her story in all the years to come. 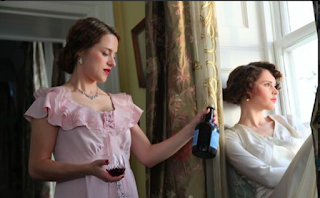 Eventually, through bad money management, bad investments, and just bad luck, the unmarried Scrimgeour sisters enter a slow downward spiral to genteel poverty, becoming a burden on relatives and living from hand to mouth. I'm always interested in the lives of the Victorian, but this book was a tough read in parts, with, as always, women having few choices. The eldest sister, Gertrude, has a rude awakening from her own marriage and childbirth (nearly the same time as Grace's birth); but at least she has financial security. It's a very well written book, but I did have to stop several times because I was so distressed at the mistakes and injustices that these spinster sisters faced. Grace's multiple attempts to catch a husband were especially distressing. This book reminded me a bit of Pride and Prejudice, just from the aspect of getting so many daughters married off. (Imagine if Bingley hadn't rented out Netherfield Hall -- would Jane have been forced to marry Mr. Collins? Ew.) Mrs. Bennet is normally the object of ridicule, but if you think about it, Mr. Bennet hasn't done diddly squat to find his girls suitable husbands, and hasn't put any money aside for dowries. He hides in his study and never even thinks about their education, or the suitability of having all five girls out in society at once. It was more difficult for the older girls to find husbands after several seasons -- and if their sisters came out, they would be even more competition. How awful would it be to have season after season and remain unmarried, then see your younger sisters married off before you? At least one of Bennet parents cared about what would happen to them. The Scrimgeour parents basically stick their heads in the sand and just assume everything will take care of itself eventually. And the ending, thankfully, wasn't as depressing as I expected. Endpapers from the Persephone edition of Alas, Poor Lady, a detail from an early 20th century tapestry. The Scrimgeour sisters spent a lot of time doing needlework. Alas, Poor Lady is the only Persephone by Ferguson; however, the Furrowed Middlebrow imprint of Dean Street Press has reprinted three more of her novels: Evenfeld; A Harp in Lowdnes Square; and A Footman for the Peacock, which is the only Furrowed Middlebrow left on my TBR shelves. Bloggers, have you read any of these? Which do you recommend? 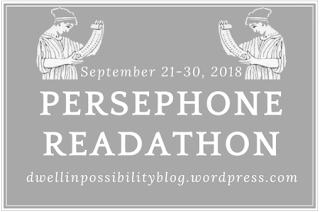 And did you enjoy the Persephone Readathon? Thanks again to Jessie from Dwell in Possibility for hosting! Persephone Readathon Check-In and Giveaway! So excited for another Persephone Readathon! I'm a bit late with this posting, but I've already started my latest Persephone, Alas, Poor Lady by Rachel Ferguson. I seem to have put this one off forever -- I think I've owned it for at least five years. But I've read more than 100 pages so far and I'm quite enjoying it. It's fairly long, more than 450 pages, but I'd like to try to squeeze in at least one other dove-grey book by the next Sunday if I can -- I also own two newer Persephones which are quite short: Tory Heaven by Marghanita Laski, and The Journey Home and Other Stories by Malachi Whitaker. I've been really impressed with Persephone's short story collections, though I do find short stories difficult to review. A couple of months ago I was at the only used bookstore around with books in English (tricky to find here in Germany). 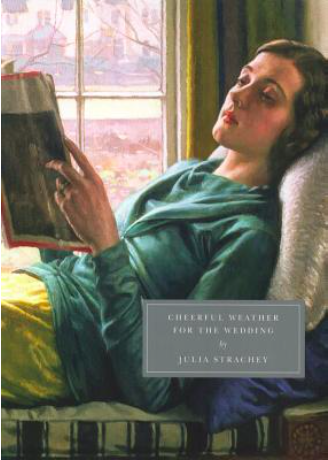 I naturally checked the Classics shelf, and was delighted to find a Persephone -- a pristine copy of Cheerful Weather For the Wedding, in the Persephone Classic edition! I already own a copy (sadly, packed up and in storage) but I could not bear to leave it on the shelf so naturally I bought it! I realized it would be the perfect book to share as a giveaway during the Persephone Readathon! If you aren't familiar, it's a novella about a single day in the life of a young woman named Dolly, her wedding day. Things are not necessarily as they seem, as the bride has doubts, and a former suitor arrives. It's a very quick read, only 119 pages, with wide margins. It could easily be finished in a single sitting (and I might reread it before I pop it into the post for the winner). It was also adapted into an excellent film starring Felicity Jones and Elizabeth McGovern in 2012. The drawing will be completely unscientific and I'll pick my favorite response. Deadline to enter is Sunday, September 30, 11:59 p.m. Pacific Standard Time. The drawing is limited to residents of the U. S. and Europe -- I live in Germany and can mail via European and U. S. mail. Please leave a good contact email in your comment (if it doesn't automatically link) so I contact you if you win! Anyway -- happy reading to all! Hope you're enjoying your Persephones this week! I only have one book left to finish for the TBR Pile Challenge, a massive omnibus of short stories by Katherine Anne Porter. (I keep buying short story collections but find them really overwhelming and unwieldy to read in omnibus collections; also, I never know how to review them.) So I thought I would take the easy way out and read an alternate, Poor Caroline by Winifred Holtby, a mere 266 pages in paperback. However, it took me nearly three weeks to finish this book, compared to a mere five days to zip through the nearly 500 pages of South Riding, Holtby's most famous work. 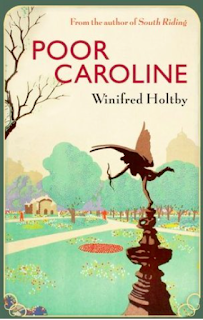 Published in 1931, Poor Caroline is Winifred Holtby's fourth novel, and was an instant success. 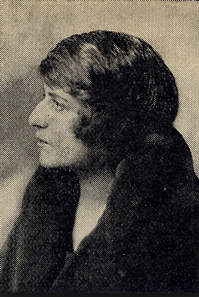 Unlike her other novels centered around life in Yorkshire, Poor Caroline is a satire set in London, and follows the lives of several people who become attached to the fictional Christian Cinema Company, devised to create "clean" British cinema for the masses (this is just before color films became popular; I can't remember if the films in question are talkies or not). Nevertheless. The corporation is basically started by a Caroline Denton-Smythe, a 70-ish spinster living in genteel poverty who has decided it his her lot in life to find causes. She is joined in this endeavor by Basil Reginald Anthony St. Denis, a dilettante war veteran and minor aristocrat; Joseph Isenbaum, Jewish businessman looking to get his young son enrolled at Eton; Hugh Macafee, a curmudgeonly film inventor; Eleanor de la Roux, a distant cousin from South Africa who's inherited a little nest egg. Other side characters include Caroline's vicar, Roger Mortimer, and Clifton Johnson, a somewhat shady scriptwriter. The book begins and ends with two cousins who have just returned from Caroline's funeral. The rest of the chapters alternate between the characters, giving the reader back story about how each of them become involved in the project. Every chapter ends with someone saying, "Poor Caroline," from whence the title came, but I think it's a terrible title. This book seemed to take forever -- I almost felt like the chapters were short stories, rather than a single narrative. It also didn't help that I kept putting the book down because I really wasn't that interested in the characters, or quite frankly, the idea of Christian cinema. (As a former librarian, I'm not a big fan of public censorship). Taking so long to read the book really made it hard to keep the characters straight, and I found Caroline herself to be really depressing -- my favorite characters were the South African cousin and the vicar. The cranky film scientist was interesting, but he was such a sexist jerk that I wanted to throw the book across the room. I so wanted to like this because I loved South Riding and really enjoyed the other Yorkshire novels. Overall I think it was just OK -- maybe I just didn't get the satire. I just have one more of her novels unread, Mandoa, Mandoa! which is another satire, set in a fictional African country. I'm a little hesitant because I think I prefer the Yorkshire novels. Well, it's one more Virago crossed off the list. Apparently, 2018 is my Year of Trollope. I've now completed five of his works this calendar year (though to be honest, four of them were really quite short). The longest thus far was Is He Popenjoy? which also has the honor of Oddest Book Title of the Year; also, the honor of Most Irritating Title to Type Because It's Constantly Autocorrected to Popinjay, which is not the same thing at all. (I have since learned that Popinjay is a kind of Scottish archery game.) Popenjoy was chosen for a readalong by my Facebook Trollope group, and though the group read was scheduled for late September through November, I started it early and was so involved in the story I sped through the 655 pages in a week. So. The Popenjoy referred to in the title is not a thing, but a title -- specifically, the title of the heir apparent to the Marquis of Brotherton, a fictional aristocrat. When the novel begins, the current Marquis, fortyish and unmarried, has been residing in Italy for some years, and is estranged from his family: his mother, the Dowager; his four sisters, three of whom are unmarried; and his youngest sibling and only brother, Lord George Germain. Lord George is young and good-looking (if somewhat serious), but cash-poor, as he basically lives off the management of the estate while his brother has all the capital. George is aware that if his brother ever returns, he will have essentially nothing. However, the slim chance exists that the Marquis may never marry, and that George might eventually become the Marquis. Therefore, any future son could be the heir to the estate, Manor Cross. Lord George is desperately in love with a Miss De Baron, but as neither of them has any money, she rejects his proposal of marriage early in the first chapter, marrying a wealthy older man instead. 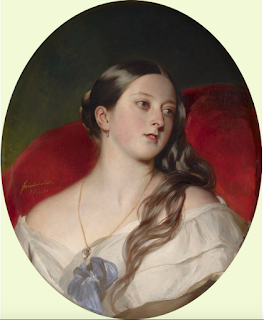 Lord George is brokenhearted, but eventually, is persuaded to consider another potential bride -- young Mary Lovelace, daughter of the Dean of Brotherton. Mary's father is from humble origins but worked his way up through the Church hierarchy -- and though Mary is young and pretty, she has the added attraction of 30,000 pounds, inherited from her late mother's father, who made a fortune in candles. Mary is just nineteen and Lord George is thirty-three, but the marriage takes place, with some stipulations: the couple will have a House in Town (aka London) and spend four months of the year there, paid for with the Dean's money. The Dean feels that since Mary has spent virtually her entire life in the country, she deserves a little society for at least part of the year instead of being shut up in the Brotherton Estate, Manor House, with George's older sisters -- who are rather petty and judgmental. And the season spent in London is where the trouble begins. Mary doesn't know a soul in London and makes a new frenemy of the former Miss De Baron, who is now Mrs. Houghton. Mrs. Houghton likes Mary but has an ulterior motive -- she thinks Mary needs taking down a peg or two for the sin of marrying Lord George only a year or so after she herself rejected him. (Apparently it was the duty of Lord George to pine away for her forever). Mrs. Houghton introduces Mary to her cousin, the dashing Captain Jack De Baron, who loves to dance and ride and shoot pool, all things that Mary's husband does not. Things are further complicated by an announcement from Italy that the Marquis is getting married to an Italian ; quickly followed another announcement that he is married, and has had a son. Naturally, this sped-up timeline, raises some eyebrows, particularly with the Dean, who has a vested interest in any future grandson becoming a future Marquis. Eventually the Marquis shows up with his Italian bride and sickly son, though they're mostly kept hidden away from view. 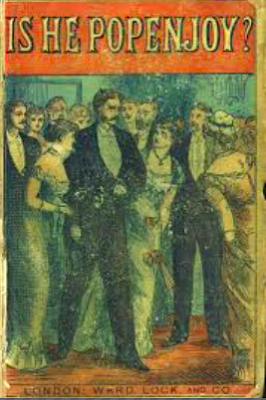 I love this cover, from an inexpensive "yellow back" edition from about 1881. It's from a collection at the Philadelphia Athaneaum. So, most of the plot centers around tension between the newly married George and Mary, due to the interlopers (honorable or dishonorable); and between the Dean, George, and his brother, about the legitimacy of this little boy, known to all as Popenjoy, though presumably he has an actual first name, though it's never mentioned. (I only learned the Marquis' given name is Augustus in one of the final chapters, so presumably, the little boy is named after his father). There's tension between George and his brother, who's never had much interest in the family in England; tension between the Dean, who is pressing the case with his own lawyers, and George, who would rather let it lie; and tension between the Dean and the Marquis himself, who is a really unpleasant git. There are also some fox hunting scenes (of course) and a weird sub-plot about women's rights activists which, frankly, did nothing much to advance the plot. But this was starting to be a subject of discussion in the 1870s when the book was written, so I guess Trollope was trying to be timely. There's a German and an American activist, both women, and I'm not sure if Trollope was poking fun at these two countries, or to women who have the nerve to want rights. He does make the point that there is a double standard regarding the reputation of women after some unpleasant gossip about Mary and Captain De Baron starts circulating. This isn't one of Trollope's most complex novels, but I really enjoyed it. The plot about the jealous husband has been repeated a couple of times in other Trollope novels (specifically Kept in the Dark and He Knew He Was Right) but I suppose it's tough not to repeat yourself if you've written 47 novels. The question of Popenjoy's legitimacy was inspired by the Titchborne case that fascinated the public when it came to trial in 1871. 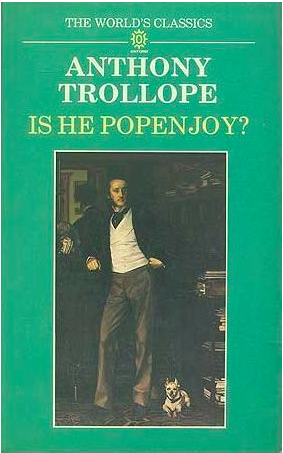 This is the 32nd work I've read by Trollope -- 31 novels and his autobiography! That leaves only 16 novels left. I'll be sad when I've finished them all, I guess I'll just have to start reading them all over again! Fall Reading Challenges: R.I.P. 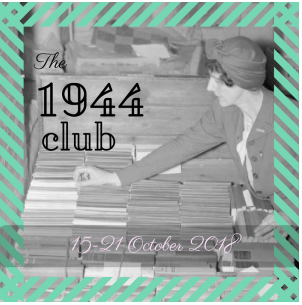 XIII, Persephone Readathon, Victober, and The 1944 Club! So many great reading opportunities on the blogosphere this fall! Here's a roundup of what I want to read soon. Naturally, I'm going to focus on what's on my own shelves. Readers Imbibing Peril XIII: September 1 - October 31. Something by Wilkie Collins, a shorter work: The Dead Secret, The Evil Genius, or The Haunted Hotel. (Can also count for Victober). Something by Dorothy L. Sayers -- my library has several available for digital audio download. Probably either Strong Poison or The Unpleasantness at the Bellona Club. Will also count for my final category in the Back to the Classics Challenge. 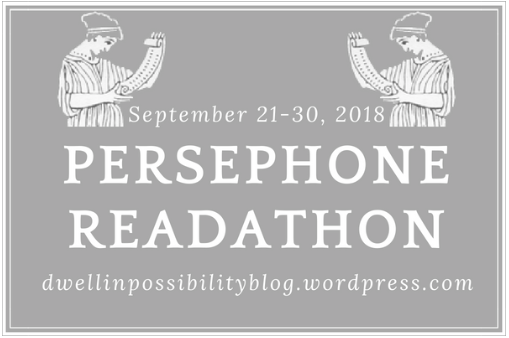 Persephone Readathon: September 21 - 30. Hosted by Jessie at Dwell in Possibility. Alas, Poor Lady by Rachel Ferguson. It is the dove-grey book that I've owned the longest without reading it. The Godwits Fly by Robin Hyde. My most recent Persephone purchase, bought at the shop on my trip to London in June. Tory Heaven by Marghanita Laski. A birthday present -- I should read it before my next birthday. Portrait of Queen Victoria, painted by Franz Winterhalter in 1943. I saw the original at Kensington palace in June. Victober 2018: October 1 - 30. Treasure Island by Robert Louis Stevenson -- I've gotten hooked on Black Sails, which includes some of Stevenson's characters -- sort of a prequel which explains the relationship between Long John Silver and Captain Flint. The 1944 Club, October 15 - 21. The Green Years by A. J. Cronin. I know nothing about this book, but someone left a beautiful old edition on the giveaway cart at the library last year, and I couldn't pass it up. Apparently it's about an Irish orphan who is sent to live with his grandparents in Scotland. It's only 240 pages so I'll give it a try. The Portable Dorothy Parker by Dorothy Parker -- I have a beautiful Penguin copy that I received as a prize several years ago from an online contest -- one of the last of my Big Box of Penguins. Winter Wheat by Mildred Walker -- a wonderful book set in Montana, by an author nobody reads anymore. I read it several years ago and loved it, and would love to read it again. It's a coming-of-age story about a young woman working as a teacher in WWII. It seems like a lot, but it's split up over two months, and a lot of the books cross over into other categories. Bloggers, have you read any of these books or authors? Which do you recommend? And is anyone else signing up for fall challenges?